Guilford Savings Bank has been serving the financial needs of individuals, families, and businesses in Connecticut for 143 years. They are dedicated to helping customers achieve their financial goals while maintaining a core value of giving back to the communities they serve. At the helm of the Old Saybrook office is Branch Manager David Carswell, who says it’s the employees that make the difference. Focusing on volunteerism, Guilford Savings Bank employees can be found swinging hammers at a Habitat for Humanity build and staffing booths at local events large and small. GSB employees serve on more than 60 Boards of directors. GSB also supports our communities financially. Their generous sponsorships include financial literacy programs, American Red Cross blood drives, summer concerts on the historic Old Saybrook town green and a variety of major fundraising events held by local nonprofits, including our Chili Fest. Their support throughout the community is wide-spread and greatly appreciated by all! The Kate is committed to bringing diverse arts and culture to the Connecticut shoreline for all ages - last year they welcomed 40,000 patrons! The Kate averages 216 performances a year from ballet to magic, music to dance. Each summer, they host Kate’s Camp for Kids introducing children to the performing arts. The Kate offers local organizations, such as Vista Life Innovations, a stage to perform their annual performance with an all abilities cast combining Vista members and community theater performers. 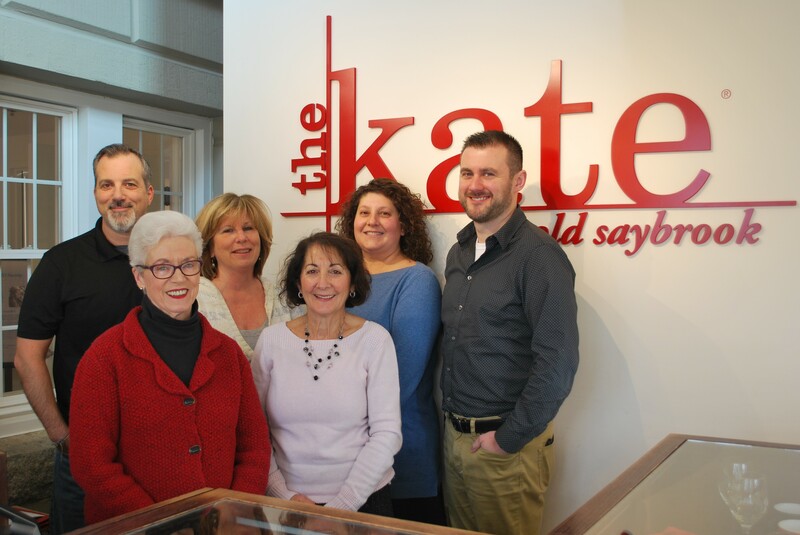 Led by Executive Director Brett Elliott, The Kate continues to have a far-reaching, positive impact on our community. Kevin Kennedy is a dedicated and successful realtor/broker, owner of Kennedy Real Estate Solutions with his wife Sharon. 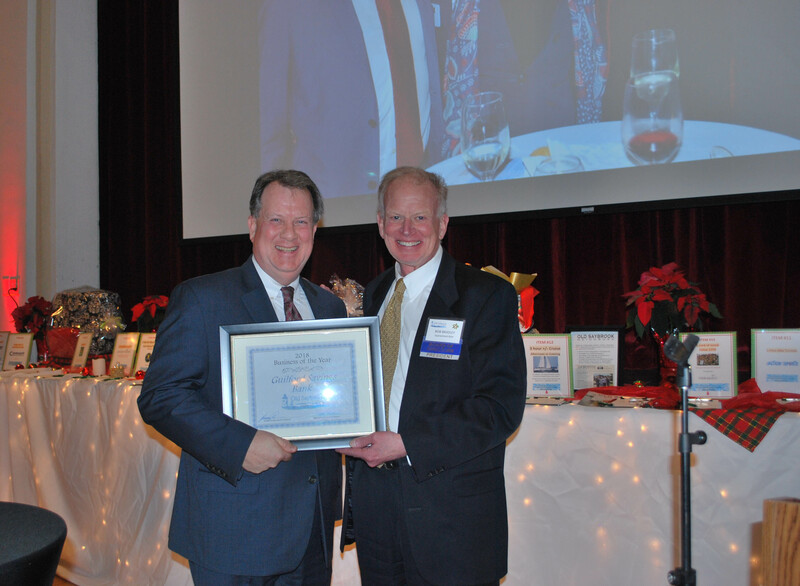 Kennedy is a true Chamber Ambassador—promoting the Chamber and encouraging businesses to participate. At Chamber events, he may be found directing traffic at the Arts & Crafts Festival or the Car Show or setting up tables at Chili Fest. Kennedy’s philosophy is “to help out where I can and try to give back to my community. It's simple really. Just show up and help." 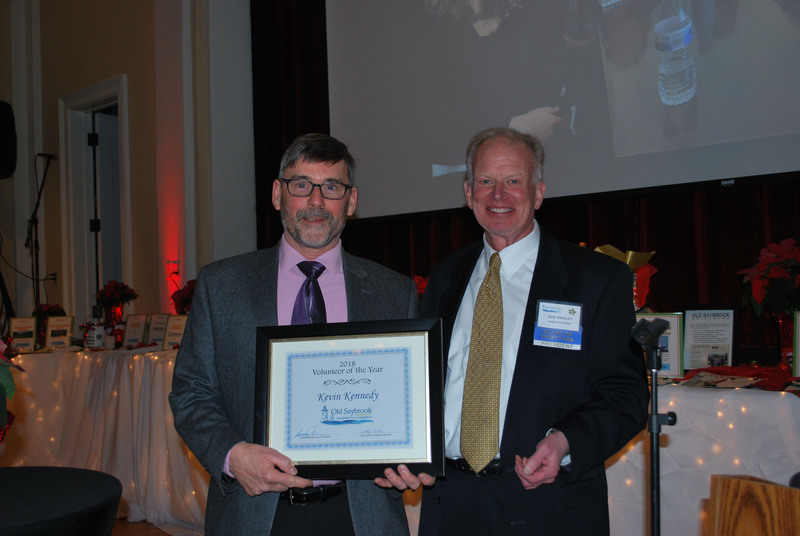 Through a core of volunteers and a professional staff, the Old Saybrook Chamber of Commerce provides leadership, support, and networking within the business community, working towards its mission of commerce, culture and community.